Please select a country from the list above. Melissa Haynes Cery elegant design and beautiful colour - fits me perfectly - thankyou!!! Melissa Haynes Warm, rich colours and fits perfectly. Very unusual design - love it!!! Melissa Hughes Wonderful craftmanship, excellent communication. I shall be back for more from this wonderful designer. Ian Mitchell Gorgeous design, high quality craftsmanship, quick and responsive transaction. Love this purchase! 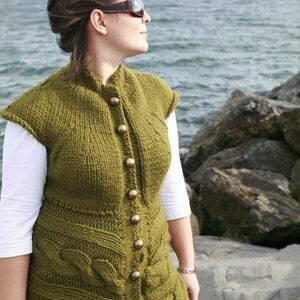 Brianna Sharpe Nihan is such a talented artist- I am thrilled with the quality and design of this sweater. Prompt communication, super-quick delivery... do not hesitate to purchase this designer's work! R E Robertson It's PERFECT. Thank you!!! Jennifer Panek Beautifully made, and exactly as I wanted it. The extra length is perfect. Thank you! Micki Honkanen Perfect! Couldn't ask for better service or a better sweater. Thanks! Brooks\/Joan Williams Just beautiful! The color and quality couldn't have been nicer. Thank you! Kimberley McCormick such a wonderfulperson to deal with. ni hopeto be purchasing more form her soon! Paul Gartside perfectly fantastic service, and a perfectly GORGEOUS sweater. very unusual designs, very stylish. i am recommending to friends! Basak MERAL Everbody likes it and asks me where I bought it! 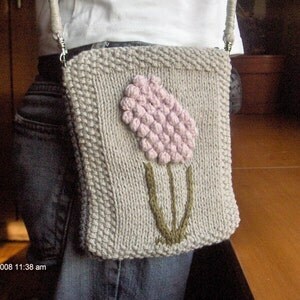 When I says to them that it is hand-made bag, they are all very suprise. Nihan thank you for everything ! Basak MERAL I've received my order very quickly. The set is very original with its colorfulled aspect and quality handmade. 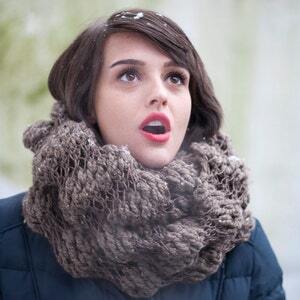 nThe scarf has double side, so its keeps me very warm. 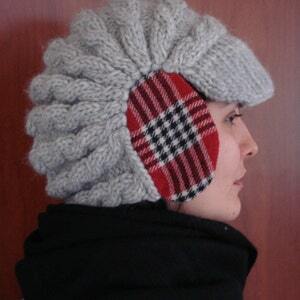 I also use nthe earband like a fashion accessory and outside, its prevents my ears from cold. Then, definitely positive feedback ! Eike Haas Perfect transaction and perfect knitting. Dress looks like from a designer store. Thank you very much!! Paola De Gemmis thank you Nihan, I received this last week! It's exactly the color I desired, thanks! I cannot think of nothing warmer, it's 2kg of wool! 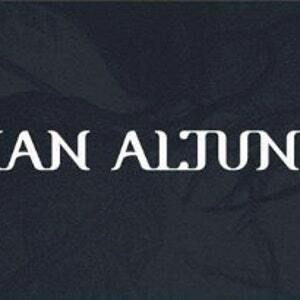 I reccomend this seller and I will come back surely for other items as soon as possible! Yoko Yoshino I can just say this is superb! Amazing delivery. Rosemary Derwent thanks for a great new jacket I must get pockets next time! Rosemary Derwent Love my warm new jacket! So beautifully made Thankyou! Katarzyna Cwiertka Superb quality, professional service. Recommended! Nelly Zorgdrager-de Jong I'm very happy with these two beanies, so carefully knitted. nFast delivery after payment, a good seller to deal with. Katharina Leineweber Thanks so much! Meg Grant great seller, great sweater - very well-made, stylish + warm! Tracey Kay It fits perfectly and I admired the color, I will absolutely return back again, highly recommended !!!! Tracey Kay great seller! super soft and comfy cardigan, Nihan is also pay attention when choosing the material if you have any allergic reaction, that's very rare. Thanks again. Shahana Khan quite possibly the lovliest most snug cardigan on the planet! 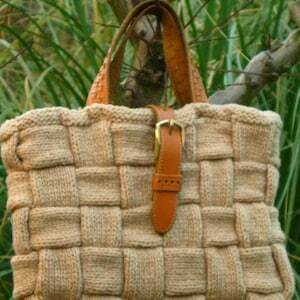 Beautifully knit! quick shipping! I LOVE IT! THANKYOU!!!!!!!!!!! 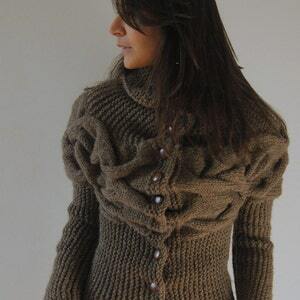 Manasi Kashyap Great sweater!! Nihan is a talented designer. She took the time to work with me on color of yarn & alteration in pattern. I hope to be back for more purchases in the future. 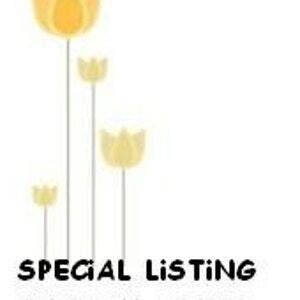 Mariline Yoofoo Excellent service thank you very much. Paula Katavolos Sweater arrived carefully wrapped and in excellent condition. 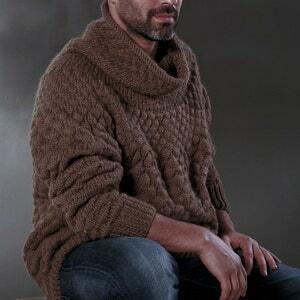 The sweater is beautiful - lovely knitting and lovely color. Will definitely order from again. Thank you! Andrea Rutherford This sweater achieves the "impossible" -- it's warm and cozy while also stylish. This is the sweater I've been looking for all my life! Patricia DeLeeuw This is beautifully knit and the design is really unique-as are all her items shown. I love it and can't wait tio save my pennies and invest in another of her creations. The yarn is so soft and her knitting time is so quick she must knit in her sleep !! Be prepared for Customs though, they hang on to it forever !!!! 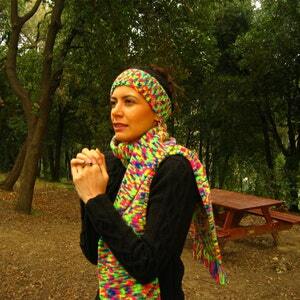 I am so glad I found Nihan-she is one of a kind and will be known as a wonderful knit designer worldwide very soon. Giovanna Multala This sweater is so beautiful, I could not be happier with it. The yarn is a perfect color and so soft. 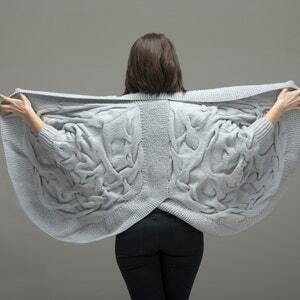 The sweater drapes in a very unique design. The stand-out quality and workmanship is so high it is doubtful you could find anything like Nihan's creations elsewhere. Don't hesitate if you appreciate fine clothes and you are thinking of purchasing a sweater or dress from Nihan. She is a pleasure to deal with, a real gem . She exceeds expectations and you will treasure your new garment . 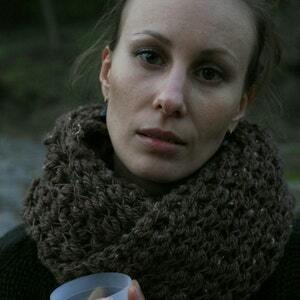 Giovanna Multala This sweater is beyond beautiful - the color is exquisite- the workmanship is perfect. It is really a work of art. The only trouble is that it makes everything else in my wardrobe look ordinary or worse. I would highly recommend this artisan- not only is she a pleasure to do business with but also is sweet , patient and endearing. Her talent is extraordinary- a true treasure. I will be ordering another piece very soon. Marcia Johnson A beautiful, gorgeous scarf. So soft.....I am very happy with my purchase. Workmanship is exquisite!!! NEIL MCFARLAND I Love my sweater! It is the perfect color and fit, made exactly to my specifications. It even makes me look more svelte than I actually am. nI had the opportunity to meet Nihan in person while traveling through Istanbul. She is as lovely and kind in person as one would imagine. 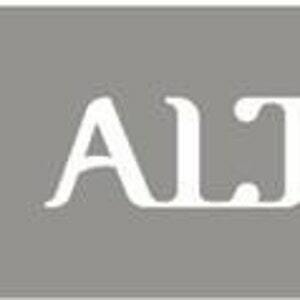 I would recommend her products for any guy who likes to be stylish and warm. nI put it on and went out in Seattle as soon as I opened it, and random people came up and complimented me on it. Ladies, if you are shopping for a man at Express, Banana Republic or Club Monaco, I would highly suggest that you spend a little more and get one of these unique works instead. nMs. Altuntas contacted me while making my sweater and said that she didn't like the yarn so she was going to completely start over! She is incredibly talented and perfectionistic, and takes great pride in her work. nThank you so much, Nihan! Stephanie Yates I love it! Can't wait for it to be cool enough to wear. It's a little snug if i double it for a collar and hood, can it be a little longer for the next one? Michelle D Lentz Wonderfully hand knitted! Just beautiful! Angela Hamilton O so happy to tell you that the sweater arrived and there is still wild weather here in Seattle to wear it in. Very fine handiwork and craftsmanship. -Many thanks for all your efforts. Molly N. Sohrakoff WOW. This is so finely made, it's too good for words. Yippee! 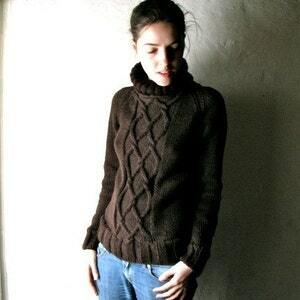 Jean Kawahara I am wearing this wonderful sweater as I write; it is perfect. Wonderfully cozy yet stylish, it is the ideal all-round sweater. Thanks so much for sharing your artistry, Nihan! 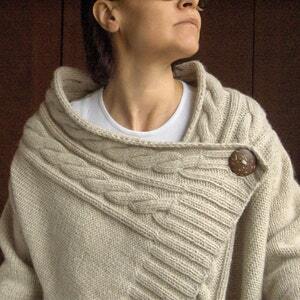 Jean Kawahara Stunning, stunning sweater. 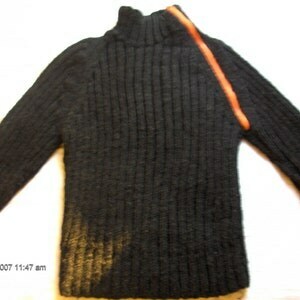 The workmanship is impeccable, and the use of the various stitches is brilliant. I am thrilled to have this work of art. Dana Killion All I can say is wow! This piece is stunning. Thank you so much. I LOVE it. Barbara Werther-Rosenow It took the beanies nearly four weeks to arrive but they are well worth the wait and came in perfect timing with the new cold front. Great workmanship. Thanks. Sarah Gottlieb This sweater is gorgeous. I love the satin running through it. Great seller! Kathleen Nichols This sweater is SO beautiful. Thank you so much. I highly recommend this seller. Top quality and fast shipping. This is my sixth sweater from this designer, my first for this season. 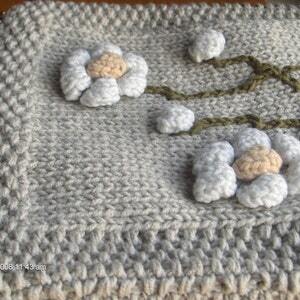 Continues to knit with high quality design and yarns. Sarah Gottlieb Beautiful warm sweater! Thank you. Maren Mcmillan ABSOLUTLEY PUUURFECTLY GORGEOUS!!!!!!!!!!! Michelle Chavel Beautiful, fits perfectly! I love it, great service. Sarah Gottlieb Gorgeous sweater!! Thank you thank you!! Denise Verploegh Beautiful! I will definitely order from Nihan again. Michelle Chavel It is the most beautiful sweater, I love the color. I may have to have another one made in a bright color! The yarn is such a high quality and its as soft as it could be. Thank you for all your hard work. Maryann Cox such beautiful workmanship & knitting. thank you. the sweater is gorgeous. 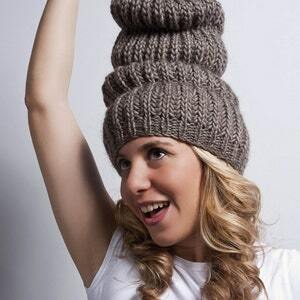 Tracy Musacchio There are not enough positives to describe the knit thing! I get so many compliments on it - literally every time I've worn it, I've gotten complimented. Do not hesitate. Buy one immediately. Eric Hopkins Very talented knitter. 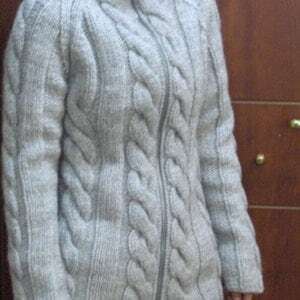 The sweater is beautifully made and is super soft and super warm, my wife wears it every night and loves it. Christina Chen Incredibly beautiful! Stunning craftsmanship! It's just glorious! 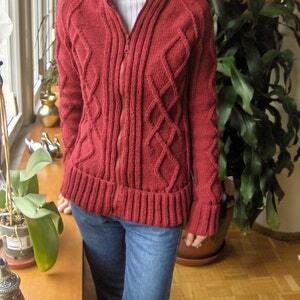 Kathleen Nichols I ordered all my sweaters in all different colors and each one is EXACTLY perfect. I am a size large, and find it difficult to buy sweaters that don't look like a huge box. These sweaters are beautifully knit, but, more importantly, perfectly fit to my measurements while keeping them fitted and sophisticated. My thanks for all her hard work. Kathleen Nichols SO beautiful!!! I got this in a soft, soft grey. The sweater fits me perfectly, with much gratitude to her custom fitting of my measurements. I ordered a number of sweaters, and each one is a special as the others. Do not hesitate to purchase from this designer!!! Kathleen Nichols Perfectly knit, constructed and finished. 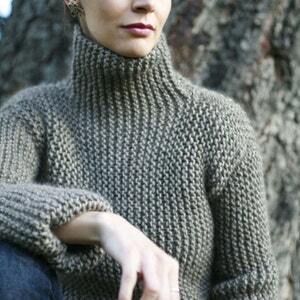 This is a cozy, but very stylish sweater from a first-class crafter. Came perfectly packaged from overseas. I can not say enough wonderful things about her work. Kathleen Nichols I LOVE this sweater!!!! The fit is perfect, which is tough on a non-perfect body. Beautifully made, so soft. Absolutely recommend, with no hesitation. 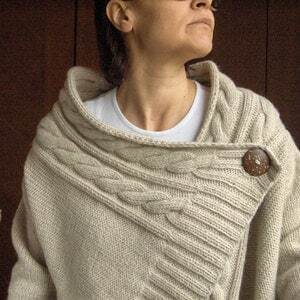 Susan K. Drozdowski A beautiful sweater and a wonderful Esty artisan. Thank you for everything. Karen Sands Beautiful item, great seller, thanks so much! A+! Leigh Justet This is such a great fitting sweater. Thanks for the help with the other sweater, also! Jolene Cessna Beautiful sweater. The only thing would be a quick update on when the sweater was completed and sent. Otherwise, very pleasant to work with, thank you. Kathleen Nichols This is an absolutely extraordinary sweater designer!!!! She has the highest standards for herself, and her work is amazing. I can only say the Barney's NY would be lucky to carry her items. It is difficult to make a bulky knit sweater look sophisticated, but she accomplishes this and more. I am a US size 14, which usually makes a bulky sweater just look like a boring big sweater. Her fitting, and attention to my personal measurements were so precise that the sweater looks like I paid NYC designer prices. I am ordering many more, and feel lucky to have found her. The fact that someone is reading this feedback means they are considering a purchase, and to that I say congratulations....you have found one of the gems on Etsy. 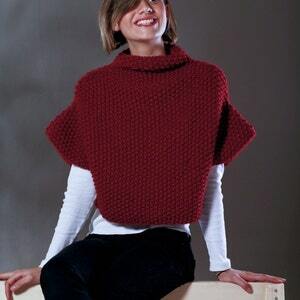 Gregg lanza Absolutely wonderful sweaters - I can't wait to show them to my customers. Thank you, thank you! Cathy Gehris so pretty - great for keeping the cold out when looking for beach sea glass! love it thanks! Gregg lanza Wow - you are amazing. So pleased with our order, we will be doing business as long as your fingers hold up! Leigh Justet I am extremely pleased. To start, the design is wonderful. Next, Nihan worked with me to customize the fit. The outcome was excellent. I'm saving my pennies for my next sweater! Tina Patterson amazingly crafted! thank you, nihan! Janis Peery This makes 3 items purchased from Nihan. She does wonderful work and is a pleasure to work with. Certainly will visit her shop again. She is great!!!. Janis Peery Stunning work!! Great seller. Lovely!!!!!! Wonderful to work with. Recommend to everyone. Sandra Brandon Very beautiful! I thank you so very much! Courtney Edwards Just received this beautiful sweater this morning and I love it! 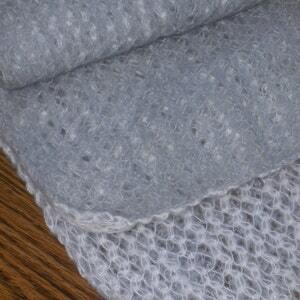 It is well made and amazingly soft. I am very pleased and will definitely be ordering from Nihan in the future! Thank you for a lovely piece Nihan. I will forward a picture as soon as I get a chance! Janel Savage So, so lovely! Thank you Nihan! n nps. it was worth the wait! Kizzie Young Love this sweater! Thanks. Midnight Blue Absolutely gorgeous sweater and Nihan is wonderful to work with ... I would not hesitate to highly recommend. Meghan E. Seccombe Thank you for the beautiful sweater, I love it!! Thank you! Meghan E. Seccombe Thank you so much - I love this sweater, it is just beautiful!! nThank you!! Emily Steffens Sweater is awesome! Emily Steffens A fantastic sweater! Paul Zarou II Absolutely fantastic! Great seller! Would do business again! Great Great Great! Jennifer Whalen so great to deal with! Melissa Poore Stunning, beautiful, and perfect! Nihan is an absolute DREAM of a seller, she obviously cares about her customers tremedously. Could not recommend more! Thank you - I just LOVE it! Stewart Watkins It's beautiful- thank you! Can't wait for it to get cold! Amy Rees love it, truly love it. Amy Rees I love this sweater so much that I'm almost wearing it out! Not really -- it is in perfect shape and will last forever, but I'm testing that by wearing it almost every single day! My daughter keeps asking me whether I'm going to wear my favorite sweater again. It is an all-time great! Gillian L. Pollock The most beautiful sweater I have ever bought and the quality is unmatched. Just TDF thank you so much, a joy and a pleasure to do business with. Sunne Meyer Its lovely, thank you! Kristen Hummel Nihan thank you so much! I really appreciated all the time you spent with me trying to find the right color and yarn material. 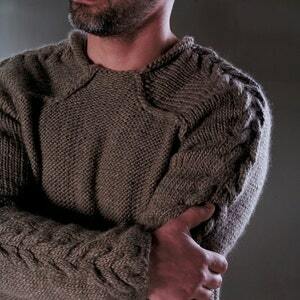 The sweater fits very well and looks wonderful. You were great with communication and that made the whole process easy and smooth. Thank you again! Mich Medvedoff Very well made and beautiful color. THANK YOU! Tatiana Balesdent Thanks again for the number 2 sweater. Tatiana Balesdent WOnderful,cozy and very stylish,many thanks for everything! Rachel Giarrizzo BEAUTIFUL bag! I love it! Thanks so much for the fast shipping. It was a pleasure to "meet" you! Thanks again.